This is the public profile of Lymed Oy, Additional information and high-resolution images are available for accredited press members, to access additional information about Lymed Oy please login as a press member. About Lymed Oy : Lymed is a manufacturer of high class techno-medical garments, awarded many times for their quality and design. A spearhead in their own field, Lymed is the first one to incorporate award-winning design into medical products. 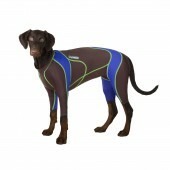 Custom-made garments, for humans and animals, are innovatively developed and designed for different indications that require pressure treatment in cooperation with world's leading medical professionals. Controlling the entire productional chain and design, Lymed invests itself into every product it produces, all in-house in Finland. Garments and uniquely designed and handmade, influencing the quality of life of their every user. Garments are used in scar management, edema treatment, pain management, post-operatively, in sports and in several neurological conditions. Press Members: Request an exclusive interview with Lymed Oy.